​While all Maine communities work to pull their town budgets together during March through June, the calendar timing and process differs. Here is an attempt to track how surrounding communities advance and finalize their budgets prior to a confirming vote from the public. Maine law specifies that only the school portion of the overall town budget can be offered to the citizens for a vote. It is the responsibility of the Town Council to find an appropriate balance between the needs of the town and the tax burden of the residents. 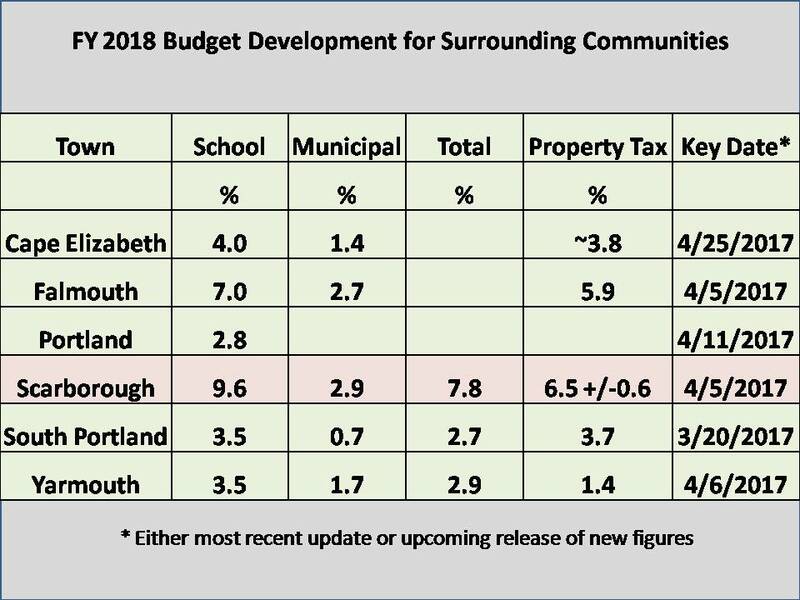 Scarborough appears headed to be the clear leader relative to our peer communities in regards to upcoming property tax increases.